Time was when the Indianapolis 500 was always run – whatever the day of the week – on May 30, Memorial Day, and a public holiday in the USA. And time was, too, when virtually the whole of the month of May, which included two qualifying weekends, was given over to practice and preparation for America’s most celebrated race. Thus when John Cooper and Jack Brabham instigated what became known as ‘the British invasion’ at the Indianapolis Motor Speedway in 1961, there were frequent calendar conflicts with the Grand Prix season. That year Brabham qualified for the Monaco Grand Prix on the Thursday, then flew to Indianapolis, where he qualified for the 500 on Saturday, then returned overnight to Nice and raced in the Monaco Grand Prix on Sunday. Perhaps fortuitously for Jack, his car broke before half-distance. Why, you may ask, did he put himself through all that, when he could have qualified at Indy the following weekend? Well, because the system dictated that the fastest man of the second weekend, whatever his speed, still started the race behind the slowest of the first. As well as that, in 1961 it would not have eased Brabham’s problem, for the second qualifying weekend also clashed, this time with the Dutch Grand Prix. Only once in those days, though, did the Indianapolis 500 itself conflict with a Grand Prix weekend, necessitating that a choice be made, and so it was that in 1965 both Jim Clark and Dan Gurney had to pass up Monaco. Quite apart from anything else, there was a certain fiscal wisdom in their decision, for back then even the last finisher at Indy was rewarded more highly than the winner of the Monaco Grand Prix and, in winning the race at a canter, Clark pocketed $166,621 for himself and Colin Chapman. As far as the World Championship was concerned, missing Monaco was anyway no more than a glitch: by August Jimmy had his second title clinched. 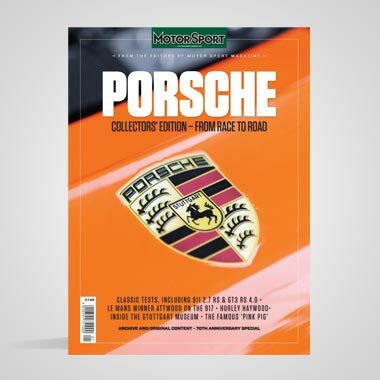 Into the 1970s the traditional date of May 30 was dropped, and the race is now invariably run on the last Sunday in the month, which means that it almost always clashes with Monaco – which in turn explains why I had attended the 500 but rarely, in 1981, ’91 and ’93. This year, however, I was back there, and it was a plan hatched one Wednesday evening last October. On holiday in St Jean Cap Ferrat, we decided one evening to go into Monaco for no reason other than to have dinner at Rampoldi. I have written before of my increasing disenchantment with a place of which I was once fond. It was Innes Ireland who originally christened it ‘Moneyco’, regretting, as did I, the ceaseless disfiguring of a once elegant Edwardian skyline by yet more high-rise apartment blocks, providing the new rich with a place in which to live, or – in the case of not a few – pretend to live. One or two things comfortably stayed, however, among them Rampoldi, a wisp of Somerset Maugham’s Côte d’Azur, with its wonderful food, its framed black-and-white photographs of the Grand Prix from 1929 on. It was there 43 years ago, at the beginning of my life in racing, that by chance I first met Fangio: do you wonder that it always held a place in my affections? On arrival there last autumn, however, we found it boarded up, and hastened next door to the Tip-Top for a consoling drink. Whatever had happened? The barman made a face, then spat the words: “Les Russes!” And indeed it was true: in recent years the Russians have been buying up swathes of the Côte d’Azur, and Rampoldi was apparently a recent acquisition. What would happen to it now? He shrugged, suggested it would probably become a club, or something. As we walked back through Casino Square, I remembered being in Monaco late in 2008, a few weeks after the global meltdown, and being told of a man trying to flog off his Bentley for a quarter of what it had recently cost him. Clearly, though, the monetary wounds had long since healed, and – as a row of nine Bentleys attested – the ‘I’m richer than you’ syndrome was again in full swing. It all seemed rather…tacky, and on the spot I resolved to be in Indianapolis for the last Sunday in May 2014. And so I was. Skipping Monaco for the first time since 1968, I had the surreal experience of watching the race while breakfasting on Eggs Benedict at the Honda motorhome. By 10 o’clock Nico Rosberg had his trophy, and a couple of hours remained before what was for me the main business of the day. My last visit to Indianapolis had been in 2007, for the eighth – and final – Grand Prix run at the Speedway, but 21 years had passed since I had been there for the 500, and a degree of mental adjustment was required. For a start, the area next to Gasoline Alley, at the foot of the press tower, was packed with people – and, in the time-honoured style of the 500, they were race fans. For the Grands Prix at Indianapolis, the area was always deserted, closed off to anyone without a pass, on the orders of you know who. Back in 1993 Indycar racing was in the middle of a golden era, and there was a level of worldwide interest in the 500 perhaps unequalled before or since, not least because Nigel Mansell, after flouncing out of Williams, had signed for Newman/Haas. 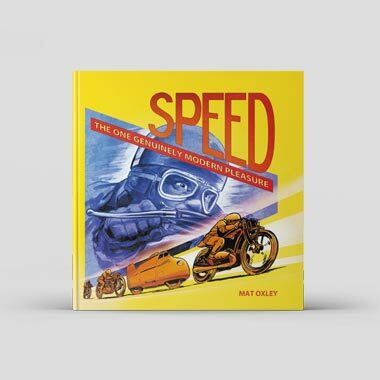 The team’s PR man was, I recall, beside himself with excitement – “This is going to be bigger than Elvis!” – and if that were perhaps not quite the case, undoubtedly the move of the reigning World Champion from Formula 1 to Indycars was a story and a half. From the outset, too, Mansell and his Lola were right on the pace, not least on the ovals (which were new to him). Nigel qualified eighth for his first Indy 500, and the field included other names familiar in Europe such as his team-mate Mario Andretti (who, at 53, started in the middle of the front row, and led the bulk of the race), Emerson Fittipaldi and Nelson Piquet. All through the month of May 1993 there was on British TV an evening show about the day’s events at the Speedway – hard to believe now, when some UK newspapers no longer so much as carry the race result. By 1994, when he had a less competitive car in a season dominated by the Penske team, Mansell found his enthusiasm for Indycar on the wane, particularly when, following the death of Ayrton Senna, Renault pressured Frank Williams into rehiring Nigel for the GPs that did not clash. By the end of the year the American adventure was all over, and he had come to an ill-fated agreement with McLaren for 1995. What CART never had, though, was control of consummately the year’s biggest race, for USAC continued to sanction the Indianapolis 500, and if that gave track owner Tony George immense clout, still he was aggrieved that he didn’t have more of it within CART. 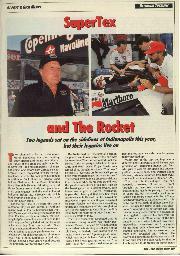 In founding a rival series, the Indy Racing League, George unfathomably chose to split Indycar racing apart, and although ultimately the two sides came together again, the golden goose had been lost to sight – perhaps forever. Twenty years ago four chassis manufacturers were represented at the Indy 500, and there were eight different engine configurations, with 48 drivers competing for 33 places on the grid. Indycar racing today is a ‘spec’ series, made up of identical cars built by Dallara, some powered by Honda, others by Chevrolet, and it’s not the work of a moment to get 33 entries together. All that said, as an event unto itself, the Indianapolis 500, while compromised, still retains an unquestionable power, just as Le Mans resolutely did through its shakier years. 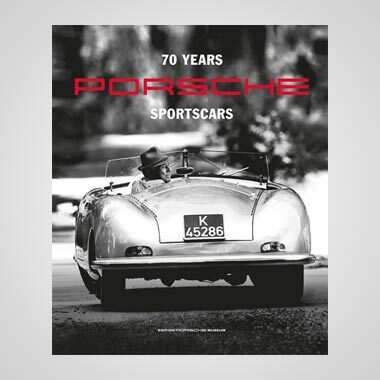 And although over time both events have changed beyond recognition, their essence abides, sustained not least – whatever Bernie Ecclestone might say – by tradition. The essentials of the build-up to the start at Indy are as they were when Job was a lad, which is why the hairs still stand up on the back of your neck. As I waited at JFK to board my flight to Indianapolis, a fellow traveller asked me if I were going to the race. “I guess,” he said, “this is the last year for Jim Nabors…” Now, this was no mere driver he was talking about: Nabors is the man who has sung Back Home Again In Indiana (the very last piece of ceremony, immediately before the start) at every 500 since 1972, but now, in his 80s, had decided to call it a day – a big thing for long-time fans. In their 80s, too, were a pair of my dinner companions on the Wednesday night of my arrival in Indianapolis. When the pilot announced that there was a huge storm over the city, and we might have to divert to Louisville or Fort Wayne, I groaned, for the timing was already such that I was intending to drive downtown directly from the airport. Happily the weather cleared, but more than an hour had been lost, and it was well after eight o’clock when I got to the restaurant. My friend Robin Miller, celebrated journalist and an Indianapolis native, invariably organises a dinner for a few friends during the days building up to the 500, and on arrival I found, among others at the table, Parnelli Jones, Bobby Unser, Johnny Rutherford, Kenny Bräck and Dario Franchitti. 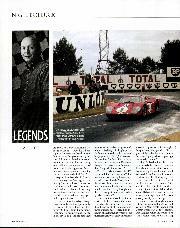 Chris Amon never raced at Indy, but competed against Jones in sports cars. When once I asked him who was the greatest he had competed against, like all F1 drivers of the period he unhesitatingly named Clark. Was there anyone he would put up there with Jimmy? “Probably Parnelli,” Chris said. That registered with me. Perhaps the story of the night, though, came from Tim Coffeen, a veteran Indycar mechanic who had worked with Johncock. There was no harder charger, Coffeen affirmed, but on the technical side he had his limitations. Something of a contrast with Formula 1, where I have known former drivers to be required – unlike C-list celebs – to grovel for a pass. The new inductees to the Hall of Fame included Chip Ganassi and Bobby Rahal, as well as Leo Mehl, for countless years the competitions director of Goodyear, whom I was delighted to see again. On to Sunday morning, and – after all the spine-tingling pageantry – the Indianapolis 500, with Franchitti at the wheel of the pace car. The Speedway, fortunately, is not sufficiently banked to spawn the sort of Russian Roulette ‘pack racing’ that led to the accident in which Dan Wheldon died in Las Vegas three years ago, but a long line of cars circulated, remarkably, for 149 laps before the first yellow, and at that point the race average stood at almost 214mph. The Indycar of today is, as I said, very different from those I had last seen in the 500, and the common criticism is that it has too little power – about 700 horsepower – and too much downforce. In my previous visits to the 500, I became accustomed to the sight of cars grazing the wall at the exit of turns, but now they came off them in the middle of the track, then – in crocodile – moved swiftly to the left on the straights. At one point, when pole man Ed Carpenter was leading, a graphic on the TV screen revealed that his throttle was to the floor for the entire lap, and I could only agree with long-time Indy observers who said, “That can’t be right…” Eau Rouge, after all, always meant more when it wasn’t flat – or rather was just flat, once or twice a weekend, for a Prost or Senna – and it pleases me that Lewis Hamilton suspects that, with the latest cars, it will be like that again this August. Once Charlie Kimball had brought out the first yellow, a whole spate of them followed, and at the final restart there were just half a dozen laps to the flag, during which Marco Andretti looked on closely in third place, but the battle was between Ryan Hunter-Reay, in search of his first 500 win, and Helio Castroneves, seeking his fourth. The lead changed hands several times, and at the line the gap was 0.0600sec, making it one of the closest finishes of all time. Most of those around me rejoiced that the personable American, after coming close in 2013, got there first, his winning average 186.563mph. Quite an afternoon. The day after the 500, seeking to keep my dose OF Americana topped up, I drove to Lawrenceburg, 100 miles south of Indianapolis, for an evening World of Outlaws sprint car show. At six o’clock the temperature was nudging 90 and just after 10, when I left, it hadn’t come down much. When the cars went out for ‘hot laps’, a lot of dust hung in the air. I was always fascinated by the folklore of sprint car racing and, since witnessing it for the first time, at Flemington, New Jersey, in 1978, have been a devotee. The word ‘green’ does not figure in sprint car thinking, and I trust it never will: this is motor racing at its most visceral, noisy and brutal. The cars weigh nothing and have about 900bhp from their Chevy V8s: around Lawrenceburg – a three-eighths of a mile high banked dirt oval – they were lapping at more than 110mph. Racing in the raw, then, and there lies much of its appeal: in sprint car racing they are not forever tinkering with the rules, and spectators have no need of a handbook to keep up with what is going on. Compared with anything else in motor racing it is beyond laid-back, as demonstrated by a PA announcement during qualifying: “One of the teams is reporting a missing brake caliper – it’s just got to be on the track somewhere, so if anyone can spot it…” I thought of Charlie Whiting, and smiled. One last moment in Indianapolis made my week. 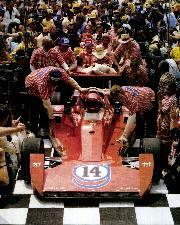 It was indeed AJ Foyt and, although he was on his way out, over he came. He stayed at the table for half an hour and more, just chatting. It was one of those times when I longed to record every word, but knew it would kill the moment if I did. 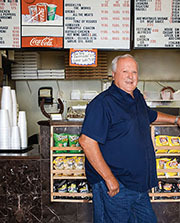 Foyt has really been through it in recent times, first of all with an operation on his knee in 2012, then last year undergoing major back surgery to relieve severe sciatic nerve pain, this a legacy of the worst accident of his career, in a NASCAR race at Riverside in 1965, when he was initially pronounced dead at the scene. There were at the dinner 17 drivers who had raced against Foyt, and as he was being honoured that night several got up to pay affectionate tribute to him. 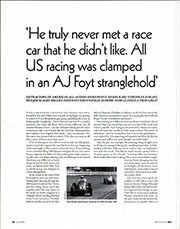 “I drove for AJ a couple of times,” said Johnny Rutherford, “and it was an experience. At Pocono he and I had a meeting with the crew before the start of the race, and AJ says, ‘Now listen, if I’m in the pits, Rutherford stays out. If Rutherford’s in the pits, I stay out’. OK, the crew’s got it. Everything’s straight. I have had few heroes in my life, but ever since I first saw him – at Brands Hatch in 1964, when he drove John Mecom’s Scarab in the Guards Trophy – Foyt, in the paddock that day wearing his Indianapolis 500 Winners Club leather jacket, has been one of them. Borrowing from the great Manney, sometimes I wished I were in Monaco. But not often. After a week in Manhattan, my North American sojourn concluded at Montréal, and let me say at once that, with the sound of Indianapolis still fresh in my mind, the new-generation F1 power units make more noise than the Indycar engines of today, which rather buries Ron Walker’s asinine suggestion that if F1 didn’t find a way of turning up the volume, he might bring Indycars to Albert Park. On to rather more serious matters, the focus of the Canadian weekend was – not surprisingly – the continuing battle between Nico Rosberg and Lewis Hamilton. In the Indy paddock we had heard, of course, of the post-qualifying spat at Monaco, wherein Hamilton reacted vigorously to Rosberg’s final-minute trip down the escape road at Mirabeau, stopping short of saying that he assumed it to be a ploy to keep him from pole, but at the same time leaving no one in any doubt that he believed it to be so. Opinions varied as to whether Nico’s incident had been accidental or otherwise. “My first reaction,” said Martin Brundle in Montréal, “was that – because of circumstance – he had to have done it deliberately, but the more I’ve looked at it since, particularly in ‘real time’, the more I’ve come to the conclusion that it was a genuine mistake.” In the immediate aftermath, though, Hamilton came forth with several comments that seemed ill advised, notably one to the effect that perhaps he should deal with the matter as his great hero, Ayrton Senna, had done. Well I, for one, because I don’t believe Hamilton capable of behaving like that, but Johansson’s point was well made. As Berger had said, Lewis is indeed very emotional, as we have frequently seen from ‘heart on sleeve’ paddock interviews over the years, and his inability – or unwillingness – to hide his feelings remains a weakness in Formula 1’s fastest driver. It might well have been only temporary, but in Montréal the mask of Mercedes invincibility slipped, with Hamilton retiring and Rosberg relieved to make the finish, albeit in second place behind this season’s revelation, the swift and uncomplicated Daniel Ricciardo, who continues to outpace Sebastian Vettel. In Austria, although neither Red Bull seriously figured, be it in qualifying or race, the pattern was maintained. A source of concern to me in Montréal, simply as a pointer to the way F1 is going, was the announcement that an incident involving car 6 (Rosberg’s Mercedes) was ‘under investigation by the stewards’. This followed Nico’s locking up, under pressure from his team-mate, and going over, rather than through, the chicane. He gained little, if anything, from this, and the thought occurred that if a straightforward driver error is now to be scrutinised – and perhaps punished – then ’elf and safety in motor racing has reached a point of absurdity. A week later, watching Le Mans on TV, I noted Patrick Long’s Porsche stationary in the pits, with no work being done, but an official standing by. Three minutes the car sat there, and when it was revealed that this was a stop/go penalty, imposed because Long had momentarily spun his wheels – although not broken the speed limit – while exiting the pits at his previous stop, I thought I was hearing things. There is at the moment great concern – admitted or not by the powers-that-be – at falling TV figures for motor racing, which is why in F1 we are enduring panicky attempts to enliven the show, like the bonkers suggestion of ‘standing restarts’ after safety car periods. Right on the money, as Niki invariably is.